Jun 5 – Ottawa Modifications & Suspension Day! 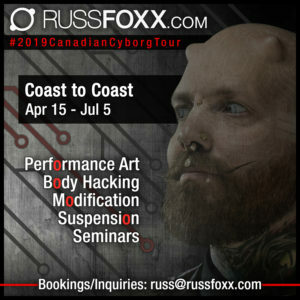 We are coming back to Ottawa for another day of piercing/modification bookings and suspensions! Come see us Jun 5 at Free World Tattoo! Suspensions start at 5pm at Studio Max!